I'd honestly consider buying this just for the hilariously mismatched cover. Gangnam Style, LMFAO, MLP picture disc bootleg, how many layers of cancer are we on? Sound quality on the original track is OK, but the remixes are just terrible. Check it out on a spectrum analyzer... Yes, this is low-bitrate MP3 pressed on vinyl! Wouldn't surprise me if it was ripped straight from Youtube. I don't share the comments expressed about this being awful. There is often too much "seriousness" and snobbery about music, with the self-appointed "cognoscenti" telling everyone what is and what isn't music and what we should and should not be listening to. The same elitism goes on in fashion, movies, book publishing, etc etc. This is just plain old good fun, for just a few minutes. Its not supposed to be life-changing, cerebral, invoke social-change, or mean something. If some people don't like it, they don't have to listen to it and they don't have to make pointless comments (what is that for?). To those people, please remember you do have an off button on your music playing device. i agree with those comment, who say this is awful! i'm also embarassed about this being called music, and gotten this popular! i also don't understand how this could've been released by a label... and i wonder, if there is any idiot who buys a maxi cd with just one track, and one video in the "youtube-era"... however, i wouldn't even buy the album, which has only 6 tracks on it... i'm curious if it does cost as much as a 12 track album... however... some people say this year will be the year of the apocalypse... for sure, it is the year of apocalypse in the music business already!!! i only like 2 tracks in this whole year, from those, which ones appeared this year... and those aren't even such tracks as earlier, i've been listening to for hours and days!!... 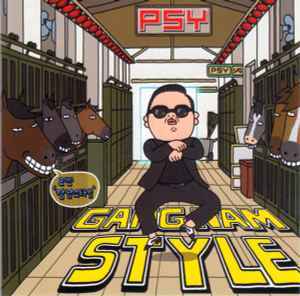 for sure gangnam style will NEVER BE such track for me! Awful music. Cheaply produced, formulaic drum beats mixed with commercialized, tedious rap flows and generic synths. Any well-seasoned listener of the EDM scene will recognize this as typical mainstream-fed "House" garbage. No need to say anything about this. Same crap from the modern music industry. Funny some of my friends say: "It's a mix between techno and Korean music" I say : "Chessy Electro with crappy pop "